Liquidity is overrated. Once you have about six months worth of living expenses saved, there’s really no need to hoard even more cash since you have insurance. If you do accumulate more cash, that’s called “cash drag” because cash returns have underperformed assets such as stocks, bonds, and real estate since the beginning of our financial markets. Once you identify a trend, your goal should be to buy assets that benefit from that trend, and hold on for as long as possible. Of course, if you think an impending bear market is on the horizon, holding more cash is good. However, over the long-term, having too much liquidity I argue is a detriment. When I first came to San Francisco in 2001 from Manhattan, I discovered that San Francisco property was so cheap compared to Manhattan property, yet wages were quite similar. Consequently, I bought all the real estate my salary could afford in 2003, 2005, and 2014, and held on for as long as possible. Now, I foresee a similar long-term trend happening in the heartland of America because San Francisco and other coastal cities have gotten too expensive and technology makes living in a congested area while paying $4,500/month for rent, unnecessary and obsolete. Companies located in high cost of living areas can’t comfortably afford to hire workers, and the workers can’t comfortably afford to save for retirement and raise a family. Every single one of my biggest investment wins has occurred because I waited 10 years or longer before selling. There was only one stock that I made an enormous return in just six months, but that was dotcom bubble luck. On the other hand, there are plenty of stocks I lost tons of money on because I got shaken out way too early. If I had held on, I would have been much better off. I define Patient Capital as investments that often take at least five years to see a return. Patient Capital consists of investments in real estate, private equity, and your own business. Patient capital is why the world’s wealthiest people and the largest institutional funds have a minority of their net worth in public investments. They know that by removing the temptation to get in and out of investments during times of volatility, they stand a better chance to make higher returns. 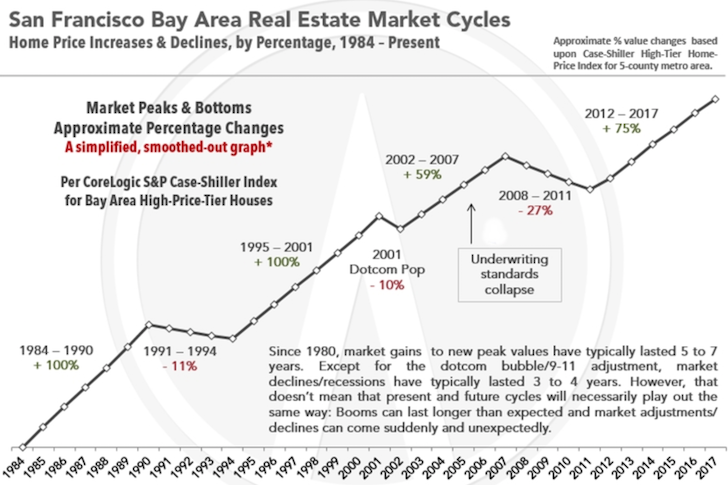 Think about all the people who freaked out during the 2008-2010 crisis and sold stocks and real estate at the bottom. They are kicking themselves now for not holding on. Further, patient capital realizes there are potential arbitrage opportunities to exploit in illiquid investments. When you don’t have the entire world competing against you, it’s much easier to find opportunities. Let’s take a look at the latest asset allocation of the ~$30 billion Yale endowment fund, which has returned 11.8% a year for the past 20 years. What stands out most from Yale’s asset allocation is how little there is in traditional Domestic Equity (3%) and Bonds And Cash (6.5%). 90%+ of their assets are in patient capital investments. 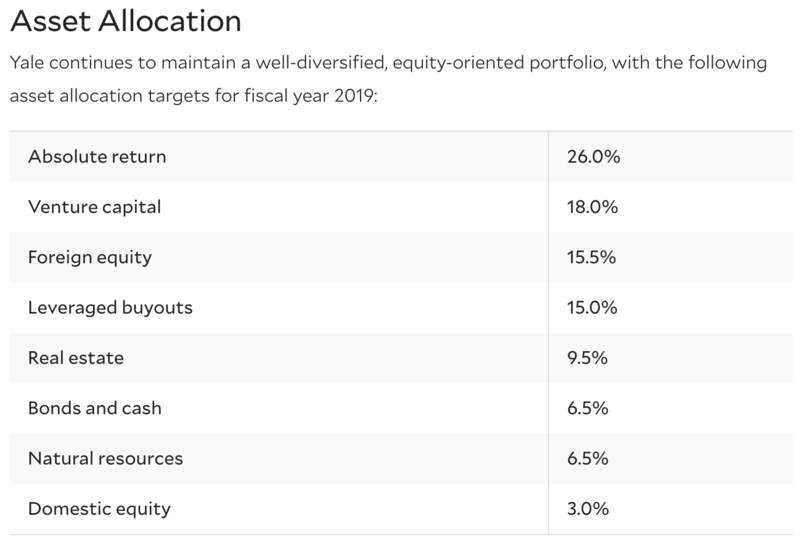 Their 26% asset allocation into Absolute Return are investments in hedge funds that likely have a blend of long-short equity and credit investments. However, these funds have long-term lockups as well. 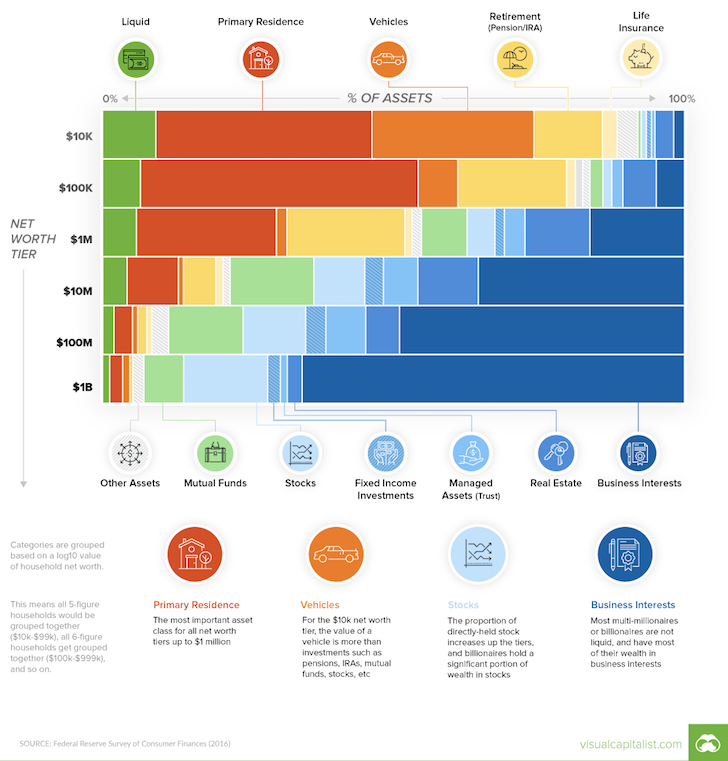 Here’s an asset allocation breakdown by net worth that shows how patient capital grows with wealth. The asset that grows with wealth the most is Business Interests. While the assets that shrink the most are Primary Residence and Liquid. In a key study 25 years ago, Michael Jensen of Harvard University argued that the tradable nature of any public corporation generates an inherent discount because of the fundamental conflict between those who bear the risk (shareholders) and those who manage the risk (executives) over the payout of free cash flow. Jensen noted that public corporations tend to hold twice the amount of cash as private companies, which by contrast exhibit higher equity ownership by managers and more leveraged corporate structures that help limit the non-utilization of free cash flow. Obviously, the poorer you are, the less you can afford to tie up your capital in patient investments. But if you want to get wealthy, your goal is to THINK and ACT like the wealthy. When I need a dose of inspiration, I go running amidst the mansions in Pacific Heights. I don’t go to the mall and splurge on things I don’t need. When you have a lot of liquidity, financial discipline tends to get thrown out the window. The cash burns a hole in your pocket, waiting to get spent. This phenomenon is why paying yourself first is a fundamental principle behind good personal finance habits. The government pays itself first by forcing companies to deduct taxes from each paycheck because it knows there will be a huge revenue shortfall if it does not. Without liquidity, your temptation to spend on things you don’t need goes away. The longer you can lock up your patient capital, the more time you give your investments to compound. Being able to more easily sit tight is why real estate is one of my favorite asset classes to build long-term wealth. The data there indicated that fund returns actually rise as their lock-up period increases, from a median of 4.5% for funds with lock-ups of less than a fiscal quarter up to a median return of almost 13% for funds with a two- to three-year lock-up. But yes, hedge fund returns overall have lagged behind the S&P 500 since the financial crisis since it’s been a bull market since. Another study by researchers from the universities of Chicago, Virginia and Oxford showed that while venture capital results varied, U.S. buyout funds generally outperformed publicly traded equities by as much as 3% annually. To capture some of the illiquidity premia, institutions and endowments typically hold a significant portion of their portfolio in alternative investments as we saw with the Yale endowment example. Are individual investors missing out on the illiquidity premium? Institutional investors seem to understand this. For the average person, real estate is the most obvious place to invest patient capital. It takes a big commitment to get in if you are buying property individually, and there are fees and taxes to pay if you want to get out. But over time, as you pay down debt and watch rents and principal grow, your equity starts to expand. Paying down debt becomes an unconscious habit because your mortgage is on auto-deduct. Rents tend to go up over time simply due to inflation. If you can also capture principal appreciation, then I dare say you will likely return a handsome profit if you can hold on for 10+ years. If you don’t want to own and manage your own property, then real estate finance marketplaces can help smooth the way for investors to participate in private investments that can potentially help them realize the real estate illiquidity premium. My long-term wealth creation plan is to continue investing in real estate and building an online business. As luck would have it, both assets are synergistic because I can write about real estate. Stocks, on the other hand, continue to create the greatest challenge for me in terms of patient capital. The slow rise and quick decimation of stocks forces me to limit my overall stock exposure to no more than 25% of my net worth. what about buying outside USA e.g. real estate in Asia or in Europe (in areas not booming yet)? Now how does Patient Capital fit into plans to move out of a saturated region of the country? As you had pointed out in prior articles, moving to an even more hot real estate market like Honolulu would require even greater capital. Any further plans to move back to Hawaii? Honolulu is about 20% cheaper than SF on the real estate front, and is definitely not a hot market. It’s a soft market where real estate I’ve been looking at since 2016 has still been sitting. The arbitrage is good! Good to hear! Thinking like a rich person! I suppose that location is all relative too. How about a place like Hong Kong vs. SF? Perhaps not always but isn’t it true that illiquidity sends to be more lumpy as an investment being perhaps harder to finance and dollar cost average? Yes, more lumpy for sure. But you can always dollar cost average with other investments and force yourself to be patient with assets like stocks and bonds. 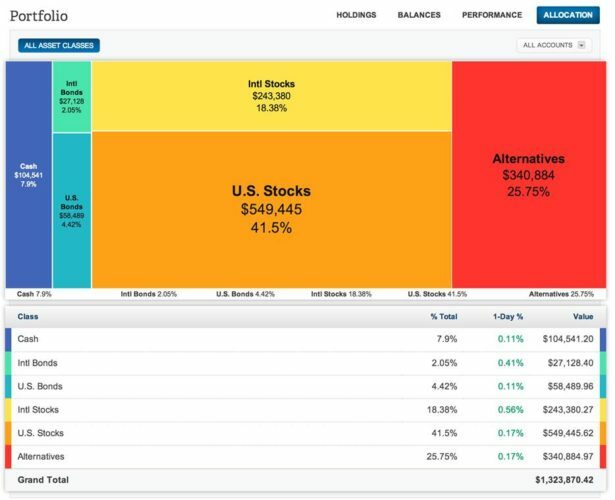 Looking at my portfolio in terms of patient capital, I realized that I have around 50% of my assets in “patient capital” largely due to having vested stock options in the pre-ipo company I work at. A lot of people working in the bay area either building their own company or working for one with stock options is earning patient capital! I hope the stock options are worth big bucks to you in the future! As for me, I joined post series D a few years back so it was a calculated risk. My gains won’t be astronomical, but still 2x the average FAANG company I could have joined over the same period of time. I expect it to be liquid within 2 years, so trying to learn as much about real estate and other asset classes now so I’m ready to reallocate the funds when time comes. Wow, this is super interesting! I had never thought about the factor of convenience and liquidity having such an important role in the ROI of an investment. It makes a lot of sense why there would be a premium to liquid assets. The more work or commitment that is necessary for success in a given investment, the more potential for greater returns, and the less amount of people who will choose it as an investment vehicle. Truly one of the best articles I have read as of lately, I have bookmarked it so I can read again. Keep it up! Best PF blogger quote I’ve heard in a while. Best PF blogger-coined concept I’ve heard in a while. Investing ten minutes reading this post has given me an tremendous ROI. Thank you, sir. I’m looking for inspiration all the time… inspiration for motivation because I find it’s easy to slack off in America, especially after full-time work. There’s not this wild bull charging at you making you run every day, so it’s easy to lose ones form. “But yes, hedge fund returns overall have lagged behind the S&P 500 since the financial crisis.” Well put Sam! Also I’ve noticed, the fees I pay a broker are higher than that of what I pay to invest in index funds (which keeps up with the entire stock market). he began. At that rate, because of the power of compounding, “each dollar goes up to 30 dollars.” But the average fund charges you about 2% per year in costs, which drops your average annual return to 5%. At that rate, “you get 10 dollars. So 10 dollars versus 30 dollars. You put up 100% of the capital, you took 100% of the risk, and you got 33% of the return! ”Did you get that? You forfeited two-thirds of your nest egg to line the pockets of money managers who took no risk, put up none of the capital, and often delivered mediocre performance! Excerpt From: “Unshakeable: Your Financial Freedom Playbook” by Tony Robbins. Yes, the fees are crazy high with hedge funds. Not a fan of the average hedge fund. You’ve got to have money with a top tier fund that consistently outperforms to make it worthwhile. This is where big institutions have an advantage.. access. As an individual investor, one of my biggest concern is always going to be risk. How would one properly assess risk and diversify in private investment? What you have said in this post makes sense, but at the same time it also reminds me of your story of Gin start up investment. The thing I have the most trouble with, is trying to avoid confusing brain with bull market. Any good metrics to compare myself against, to see if I am taking on unnecessary risk? With a blend of domestic and international equity and bonds, I can at least assume a certain amount of growth over 10-20 years. Feels like playing roulette if I were to get involved with private business interests > 10% of total investment. Fortune favors the bold I suppose? Fortune does favor the bold. I would say my Gin startup investment was a HIGHLY speculative investment I had no business investing so much money in (~$70,000 or so when I was in my later 20s). In retrospect, I should have kept my investment to $25,000 based on my income, net worth, and portfolio composition at the time. Getting a return was lucky. In the moment, too many of us get too hyped up and take excessive risk. We need to be focusing on hitting singles and doubles with 90% of our capital. I have a problem with risk control and am almost always betting too big for my own good. It stems from the fact I got lucky with my 50 bagger in 2000, so I’m always searching for a new one. That’s one of the biggest difference between Institutional money vs Retail money. I worked at a couple of large Asset Manager in Canada. One primarily catering to retail clients and the other mostly institutional. Retail clients were always chasing yields, they would pull money out of funds when it was going down and pour money into funds that were ‘hot’. Basically, they were buying high and selling low. Institutional money had longer views and wasn’t as concerned with market volatility. Speaking of illiquidity premium, institutions (endowments, pension plans etc) had access to a private debt pooled fund that provided holders with illiquidity premium of 50 to 125 bps. That’s 50 to 125 bps above investment grade fixed income returns at investment grade quality. That was the price for illiquidity of the fund. Although everyone has their own investment preference or area of expertise, the common element is taking a long-term view. My best returns from “patient “ capitol are from my business. To calculate my returns I take my entire businesses working capital (equity) and add my yearly profit and covert it into a percentage. For example if my working capital is $100 and I make a 20 profit my return on equity is 20 percent. Rather than taking the yearly profit out I add it into my existing equity. Therefore next year if I have the same ROE I’ve now made $24 instead of twenty. This can be done with stocks, real estate, cash, private equity. Pretty much anything you can think off. Very cool Bill. I was just talking to my wife last night about estate planning when we realized for our target estate values to be achieved, we need to keep the business going for at least 10 years at X percentage growth rate. Can you expand more on this Profit / Working Capital model to get an ROE? Why isn’t the ROE calculated using Profit / Business Equity Value instead? What about ROA (Return On Assets) where you calculate your operating profit or net profit / the entire value of the business, which could be the same as the EV depending on debt levels? A couple reasons I do it this way. First, this is the simplest way to calculate my ROE. The way I look at it is, if I took my equity out of my company and put it somewhere else what kind of return can I generate. Would that return beat what my business returns. If my business ROE ever drops into the 10 percent range than Id probably sell and just put the money into an index fund. Second, I don’t give any blue sky value to my business. I have no debt so I only count hard assets or cash when I calculate my net worth therefore I do the same when I calculate ROE. I’m very conservative in nature therefore when or if I do sell my company that money is just the cherry on top. Makes sense. But how do you know how much to value your company? The lower you value your company, the higher your ROE and vice versa. Therefore, you would actually be more conservative to aggressively value your company and this metric no? I guess one can come up with a reasonable valuation to stick with. I use retained earnings as my value. My retained earnings are whats left every year after all taxes, dividends, basically everything is paid. 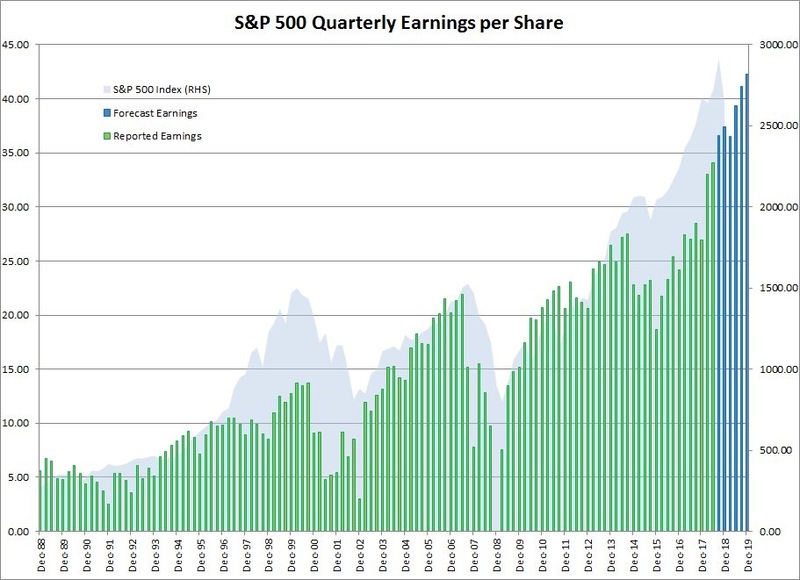 Since I’ve been lucky enough to always show a profit my retained earnings increases every year which does make my ROE lower most years, even if my profit actually increases. I think retained earnings is the most accurate way to value your company if your in a capital or inventory intensive field. Its basically what you can get if you closed the doors and liquidated everything. My comfort level with real estate is also REITs due to horror stories of friends and family. At this point in my life, and considering the demands of my work, I don’t have the time to vet property properly. That will change over time, but for now, I am having to split myself with REITs and stocks amd bonds. I think over time, as I learn more about the crowd funded options, I will take advantage of one. I was in the process of making an investment in Reality Shares when it went belly up. What can you do? Great article as always. We just sold a free and clear rental condo in San Diego and I’m trying to decide what to do with the cash since it was paid in full. We owned it 2 years, it appreciated 30% while rents only went up 5% which is why we decided to sell it. I put all the money in an Amex online savings at 2%, where are the 2.5% money markets? It seems silly to pay down our house @ 4% with 8 years left on our 10/1 arm. Where would you suggest putting cash right now? A deadbeat or destructive tenant can be devastating. If you have it managed that will take around ten percent of the rent. Whether it rented or not, undeveloped or not, there are taxes and insurance to consider as, even with an undeveloped lot, you have potential liability concerns. Then there are the usual investment concerns caused by a million different things such as interest rates rising, someone building a landfill next door, the area becomes a high crime district, etc. There is also a scaling issue in that there is a fair amount of paperwork to do and file, and also regulations and tax codes to be aware of, for even a single rental property, which does not increase incrementally with additional properties. Look up who the IRS excludes from declaring passive losses against active income (hint: it’s the little guy). You can also have kids wander through the backyard and turn on the faucet for a month before it is discovered, or discover that the insurance company is now demanding you replace a cracked driveway immediately, and so on. Frankly, I found the stress and and extra paperwork not to be worth it and eventually sold the property, even though it was a lovely property in an ideal location and I had ideal tenants. I put all the money into Amazon and, even with the current markets, it’s doubled and no one’s asked me if I want to allow a slab to be poured in the side yard for a satellite dish, or demanded I pay for a midnight plumber. As a fellow Amazon shareholder, so far so good! It does seem like Amazon will be a long term winner given it’s almost monopoly like status. All that said, For the average person, getting neutral real estate is a no brainer over the long term in my opinion. I agree with you on the cash drag theory, which is reasonably well supported. You hinted at it at the beginning of your article. Hoarding cash is a positive if you believe a recession/downturn is coming. I tend to be bearish because rising yields, increased volatility and push back from investors on new debt offerings tend to be a toxic combo. And this is what I’m starting to see all around. For this reason, I’m holding significant amounts of cash to buy the dip when it comes. It would have been nice if you had discussed that aspect a bit more. 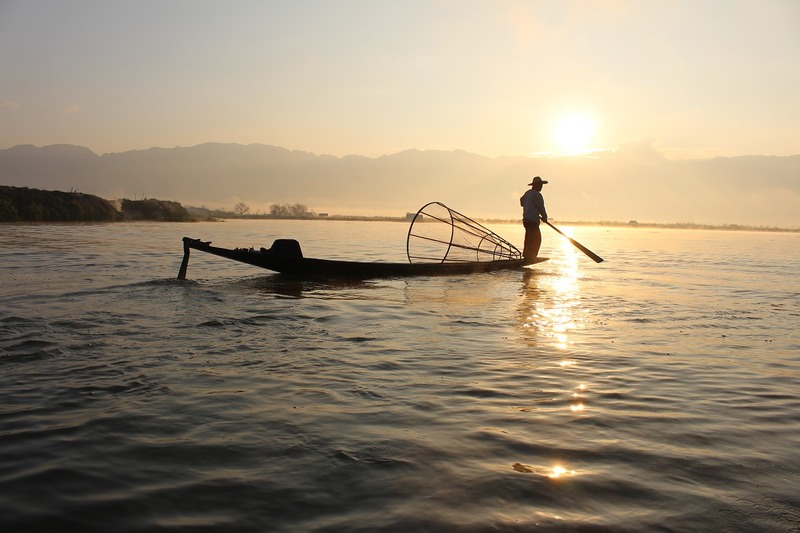 This article is focused on investing in risk assets over the long-term. It’s hard to write about every single asset class in one article Without it getting too long and boring. That’s true, thanks for sharing those again. I had not seen the first one so will definitely read that now! Cheers. Even though I can sell my investments fairly easily in the open market, I pretend they are illiquid to avoid doing so. I’m not a fan of hedge funds because I don’t fully understand the ins and outs and everywhere I go people say they are risky – at least a bit much for me. I sometimes feel like there are two kinds of wealth (1) people find a hot investment and get in at the right time – this can go either way (i.e. boom or bust) and can cause lots of stress or (2) slowly building (i.e. being patient), but with minimal stress – this one’s my preference. This makes so much sense. I like the term patient capital too. I try and go long term “patient” with all of my investments. It’s not always easy especially during volatile markets but I try not to shift my focus from the current time and short term horizon to my long game plans. I like what you said about going for a run amongst the mansions of the rich versus going to the mall when you need some extra motivation. I like that mindset! I love your writing and I’ll have to disagree a bit on this one. I fully agree that starting and/or owning a private business is a slam dunk for those who can do it. RoI is usually somewhere between 50%-150%+. Still most people aren’t great at running businesses. Most don’t make any money and take on debt when they shouldn’t. I disagree a bit on real estate. It’s really a job even if a part time one. For those willing to price markets and manage the real estate it can work out particularly with the online marketplaces available now but REITs are a great option for most people. If you can’t deal with mark to market volatility, there are private real estate funds available for pretty low costs. If you happen to live in a bad market or buy at a bad time, you can take lots of uncompensated risk in real estate. Again for those willing to do the work to price, find, and manage real estate (aka have a real estate job) it can be great. Similarly on private equity, the lack of volatility is simply a mark to market issue. If you put a little leverage on small value funds and don’t look at your account, you’ll end up with returns superior to PE. Check out Dan Rasmussen’s work on that. Despite those minor disagreements, I love what you are doing! That’s the beauty of the markets, everybody has their own preferences, and everybody has to make an investment decision based on their own preferences. I really don’t like the constant “Mark to marketin code of public equities. They are a distraction to me, and it takes away from time I want to spend doing something else more productive. It’s like social media, another big distraction. But unfortunately, we can’t rewind technology your time to have simpler days. At the end of the day, you’ve got a look at your bank account and either be happy or be determined! Patient Capital is my favorite type of capital. I have a long-term mindset and it’s nice to have my money represent that. Some of my best investments fall into this camp despite having some serious volatility while holding. I knew the rationale for making the investments hadn’t changed in the short term and survived the volatile pricing. My real estate holdings also represent this long-term mindset and have performed admirably for my net worth accumulation. In the coming year when I plan to sell my condo, it’ll be bittersweet because I know it will have grown considerably in value in just 5 years and yet it also will allow my wife and I to move closer to making a down payment in our first house together. I appear to have the same investing philosophy as I have shifted my investing dollars now to private syndicate real estate deals which have longer hold times and illiquidity by nature. Are you still considering FundRise’s Midwest fund the best way to get eREIT exposure to the heartland? 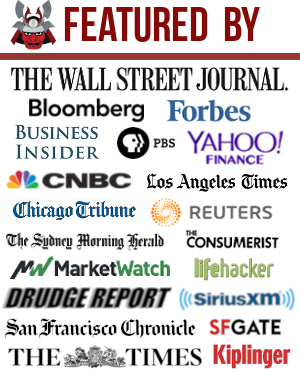 (non-accredited investor) You can invest there still if you poke around a bit, but they aren’t advertising it on their website? I didn’t realize the fund was open again. Thanks for the heads up. I’ll have to take a look and do a more in-depth research piece on the properties the fund has invested in. Please do and give us an updated opinion! I googled it, logged in, and selected the tiny “make a direct investment” link beneath the orange Choose a plan link. I have yet to finish a transaction, but it seems to allow you to do so. Great article, Sam! I have a lot of capital ‘locked up’ in various real estate investments and my business. Do you count the value of Financial Samurai (this website/blog) in your net worth? I count the office that I own, but I don’t count the actual business… but it has gotten me thinking, I could potentially sell it if I wanted to, so it should have value, right? I probably should. A peer website with 30% less traffic sold for $5.8 million earlier this year. Not bad at all. If you have a cash flow generating business, it has value, lots of value. Especially if they’re running stream is consistent and defensive. At the end of the day, a business is worth the stream of its cash flows. although how would it work if the consumer comes to read advice if the guy writing it has left? Dont get me wrong u have so much advice since you started this that people will. e reading way after u “retire” again. Have definitely considered. Post coming up! Too bad I don’t really want a mansion. So much to maintain. I guess I’m building patient Capital with my two online businesses. Like you said, it’ll be a long game since I’m apparently not smart enough to be one of the folks making tons of money right away. But my profits are growing slowly, just like my net worth did 25 years ago when I started working and saving.